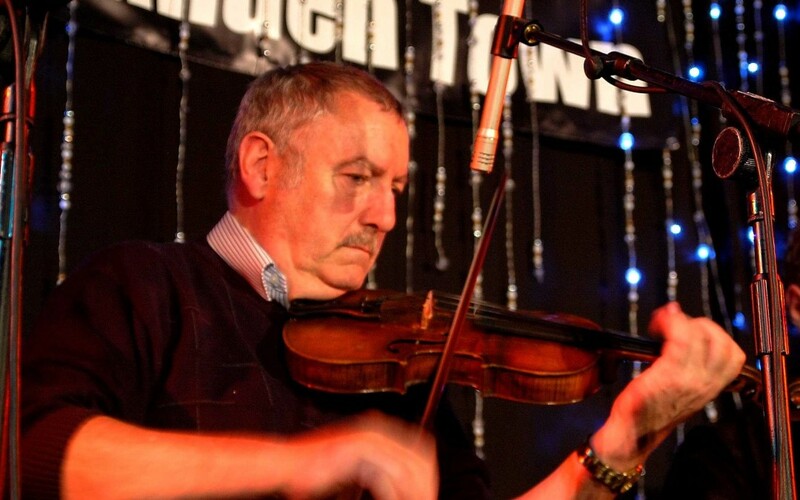 We are delighted to feature the great Leitrim fiddle player, Bryan Rooney in concert. Bryan was named Musician of the Year in the 2012 TG4 (National Irish TV) Gradam Ceoil Awards. He has lived in London since the late 1960s and is recognised as one of the master fiddlers of his generation. His now classic album, The Godfather, was released in 1999 and was followed in 2002 by Leitrim to London. Bryan’s most recent recording, At Complete Ease, an album of duets with the great John Carty, was released in 2011. The hugely popular documentary An Godfather about Bryan’s personal and musical journey so far was aired on national Irish TV for the first time in 2014. Support: One of Ireland’s leading traditional Irish flute players, Mick Mulvey has established a reputation for good hearty traditional music in the North Connacht style. His musical and ancestral roots are firmly anchored in Leitrim and Galway. Since returning from London in 2006, he has enjoyed something of a renaissance in his music. He has released two solo albums to great critical acclaim Within an Mile O’ Jamestown and Bridging the Gap. Mick was a member of the Moylurgh Céilí Band when they became All Ireland Champions in 2013. Both musicians will be accompanied by Pete Quinn on piano. From Liverpool, Pete’s performing experience extends from John Cage at the Barbican through jazz fusion at Ronnie Scott’s to traditional Irish music at the BBC Proms. Formerly with The London Lasses, he has performed with some of the greats of traditional Irish music, has appeared on numerous recordings and is due to record with his new 4 piece, Artisan Row this year.